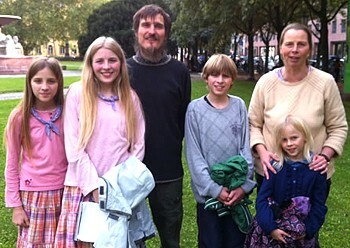 STRASBOURG, France — The European Court of Human Rights is set to hear the case of a German family that was forced to send their children to public school after they were seized by the government because they were homeschooled. “I sincerely hope the European Court of Human Rights will reaffirm that the state has no right to abduct children from their family just because they are being homeschooled,” father Dirk Wunderlich said in a statement this week. A month later, following a court hearing about the matter, the Wunderlich children were returned to their parents after it was agreed to send them to a state school. However, they were still considered to be in the custody of the government as Judge Marcus Malkmus characterized homeschooling as a “straightjacket” for children. An appeals court later overturned the ruling, opining that it was improper for the judge to withhold legal custody from the parents. But as Germany continues to consider homeschooling a criminal act, and as the Wunderlich family remains uncertain about its legal situation, it took its case to the European Court of Human Rights. Alliance Defending Freedom (ADF) International is representing the family and submitted its written argument for consideration on Thursday. “Petra and Dirk Wunderlich simply exercised their parental right to raise their children in line with their philosophical and religious convictions—something they believe they can do better in the home environment,” Robert Clarke with ADF’s Vienna, Austria office said in a statement. “The right of parents to direct the upbringing of their children is a fundamental right protected in all of the major human rights treaties. Germany has signed on to these treaties and yet continues to ignore its obligations with devastating consequences,” he lamented. The Wunderlich’s had considered moving to France where homeschooling is legal, but decided to stay and fight for their rights.